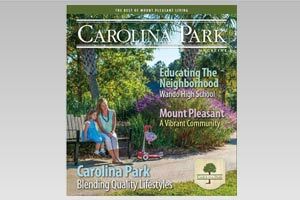 The South Carolina coast's outstanding reputation in the world of golf continues to grow. The climate, terrain, accommodations and southern hospitality attract thousands of golfers annually. Beautiful undulating greens and fairways swept with ocean breezes grace this coastal region making it the nation's number one golfing destination. An exciting new and unique addition to South Carolina's prestigious golf course portfolio is the Litchfield Reserve Golf Club, which is a collaborative effort between Litchfield (LLC) and world renowned golfer, Greg Norman. It all started in December, 1996. The management staff of The Litchfield Reserve Golf Club, LLC began formulating a plan to build a non-equity, very traditional, private golf club. 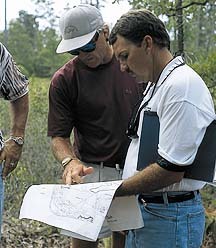 Criteria for selecting the course architect had been determined: find an architect that had yet to build a course along The Grand Strand and who was interested in enhancing rather than reshaping the natural beauty of the property. "Building a new golf course on the South Carolina coast wasn't a novel idea. The challenge was to create something absolutely unique," said Mike Mahon, President of The Reserve Golf Club. One designer (also a great player), combined the philosophy, the experience and the enthusiasm to take on The Reserve Golf Club...Greg Norman. Since 1987, Greg Norman Golf Course Design has created distinctive layouts in twelve countries around the globe, in locations like Bali, Japan, Indonesia, China, Thailand, the US, and of course, his native Australia. "It is his love of golf, for golf course design and the love of a challenge that intrigued us about Greg," explained Mahon. "What we found out in our interview process was that he attacks everything he does with a great deal of enthusiasm and professionalism. Besides being a talented golfer, he's also a wonderful fisherman, agronomist, and pilot. He is committed to being the best at what he does. We wanted that level of commitment to excellence brought to our golf course." At the Norman-designed Sugarloaf Country Club in Atlanta (host of the 1997 Bell South Classic), and the Medalist in Florida (Greg's home course), you can see the level of quality and playability that the Norman design group brings to a course layout. "If I put my name on something, I am committed to it. Golf courses are like a fingerprint of life. You build a golf course and in 200 years it is still going to be here. I'm going to be dead and buried, but my name and design are going to continue on...that's the most important part," explains Norman. The goal of Greg Norman, his design group and The Reserve Golf Club has been to create a golf course that will be enjoyable and playable for all golfer-types. "If you do it right, where somebody walks off the golf course and enjoys shooting 130 and somebody else walks off the golf course and enjoys shooting a 63 or 64, then you've really done a good job," said Norman, whose favorite designer is Alister Mackenzie. For The Reserve Golf Club, Greg Norman Golf Course Design is working with 350 pristine acres. One hundred and sixty of those acres are natural wetlands. Residential development should have little impact, in fact, only seven of the holes will border on residential property. None of the access roads for the residential property will run through the golf course. This will be a golfer's course. "Every environment is different and the character of every golf course should be different. I like to go out on a piece of land and try to do something a little bit different and a little bit special on each course that I do. But it is important for me that a course looks as though it has been a part of its surrounding for many years," states Norman. Another unique quality of The Reserve Golf Club will be the private, non-equity format. In a market of almost one hundred public golf courses, why would anyone want to build another one and operate it as a private club? "We have many second homeowners in our communities in this area that have a very difficult time getting tee times during the peak golf seasons," said Mahon. "In researching the viability of The Club, we also heard from many of our residents that they miss the familiarity and customer service atmosphere they receive in their private clubs at home. For that reason, we think our concept is an idea whose time has come. Everything from the locker rooms to the grill to the club care to pro interaction will be done with our members and the traditional golfing experience in mind." 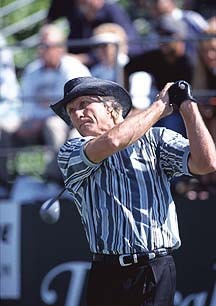 Greg Norman is a golfer for the ages. In talking with him you see how golf excites him and challenges him. His goal is to leave a legacy of golf for his fellow golfers to feel the same feelings. The Reserve Golf Club, his first mark on the Carolinas, is scheduled for opening in November. Sources say that while it may be his best, it will not be his last.